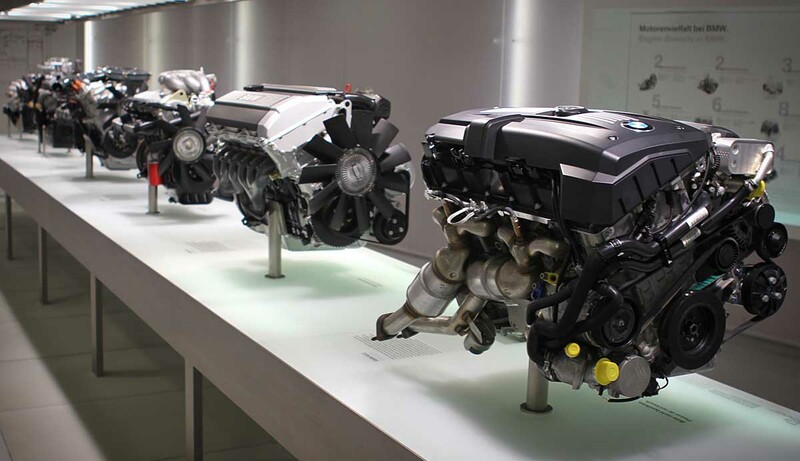 Engines that remain unbeaten titleholders, as well as triumphant newcomers, have secured the BMW Group’s renewed pre-eminence at the 2012 International Engine of the Year Awards. Powerplants guaranteeing efficient power delivery in current BMW and MINI models topped no fewer than four out of eight displacement categories. The quartet of trophy-winners comprised two four-cylinder engines, a straight-six and an eight-cylinder. Scooping up best-in-class wins were the 1.6-litre turbo unit of the MINI John Cooper S, the four-cylinder engine with BMW TwinPower Turbo technology that drives the new BMW 328i, among others, the straight-six with M TwinPower Turbo of the BMW 1 Series M Coupe, and the V8 under the bonnet of the BMW M3. This year’s winners were selected by an international panel of judges made up of 76 motoring journalists from 36 countries. The Engine of the Year Awards were presented against the backdrop of the Engine Expo trade fair in Stuttgart. With these latest accolades, the BMW Group continues its winning streak in the world’s foremost engine competition. Thanks to the Group’s outstanding development expertise in this area, it has managed to notch up more than 50 class and overall wins at the International Engine of the Year Awards since 1999. In 2012, yet again, engines of widely differing design created for BMW and MINI models dominated a large number of displacement categories. Moreover, the latest title-winners span an unusually broad output spectrum ranging from 184-horsepower to 420-horsepower. The 2012 competition saw the prize in the 1.4-litre to 1.8-litre displacement class handed to the engine that drives the MINI Cooper S, in a reprise of its success last year. The 1.6-litre four-cylinder develops peak output of 184-horsepower with the help of a twin-scroll turbocharger, direct petrol injection and variable valve control based on the BMW-patented VALVETRONIC technology. Among the key attributes of this unit are not only its power delivery but also efficiency for its class. Likewise providing enhanced driving pleasure, coupled with low fuel consumption and emission figures is the new 2.0-litre engine featuring BMW TwinPower Turbo technology. The 245-horsepower, four-cylinder turbocharged unit with High Precision Direct Injection and VALVETRONIC captured the trophy in the 1.8-litre to 2-litre category. This engine is currently powering the new BMW 328i Sedan, BMW 528i and BMW Z4 sDrive28i, as well as the BMW X3 xDrive28i and BMW X1 xDrive28i models. The top accolade in the 2.5-litre to 3-litre class went to a six-cylinder in-line engine whose technology has already wowed the judges several times previously. Both in 2007 and in 2008, this 3.0-litre powerplant with twin turbochargers, High Precision Injection and Double-VANOS took the overall prize in the Engine of the Year Awards. Delivering 340-horsepower, it serves as the basis for both the M TwinPower Turbo unit inside the BMW 1 Series M Coupe and the BMW TwinPower Turbo engine of the BMW Z4 sDrive35is. For the fifth time in a row, the V8 engine of the BMW M3 high-performance sports car won in the 3-litre to 4-litre displacement class. Bolstering the 4-litre, naturally aspirated engine are its hallmark M high-revving concept and peak output of 420-horsepower.